For use with Heavy-Duty Industrial Workbenches. Risers With End Supports...adds 12" in overall height to the workbench. May be double stacked. 16 ga. steel. Shipped unassembled. Side and Back Rail Kits...prevents objects from falling off sides and back. Lower Shelves...16 ga. steel shelf with back stop. 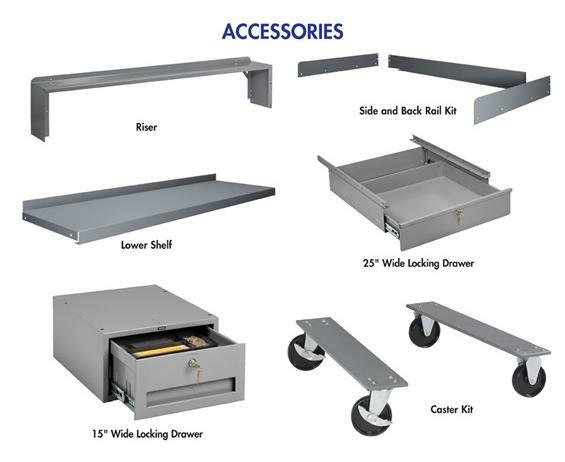 Locking Drawer...steel drawers operate smoothly on ball bearing rollers. Units can be bolted together for additional storage. 15" wide drawer has a divider and a removable tray. 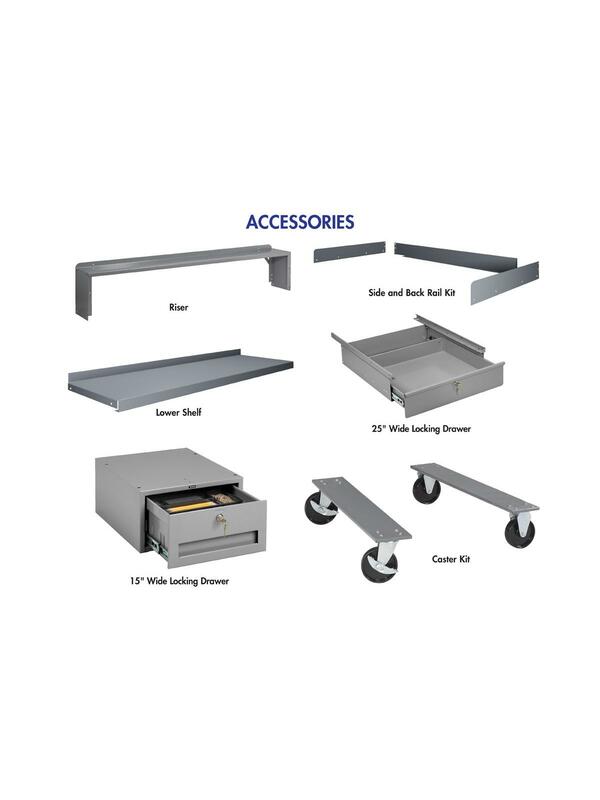 Caster Kit...adds mobility to any workbench up to 72" wide. Kit includes four 5" diameter casters (two fixed, two swivel with brakes). Increases height by 6-1/2".